This global pharmaceutical company develops life-changing therapies for patients and families affected by rare diseases. Soon after the company brought to market its best-known drug, a disease broke out in Europe and this drug proved to be an effective treatment. The company grew rapidly. Within a year, they’d been added to the NASDAQ-100, the 100 largest nonfinancial stocks traded on the NASDAQ. With Expel, we know someone is looking out for us, which gives us time to focus on tactical gaps in our armor, and the luxury to be thoughtful and deliberate about them. But when the organization grew, it built out its IT infrastructure and security quickly came to the forefront. They hired a CIO and a chief information security officer (CISO). The CISO assumed responsibility for physical security and cybersecurity, with both managed from the company’s global security operation center (SOC) in the northeastern United States. The senior director of global security operations joined the organization as they were building the security team. When he came aboard, he was struck by how exposed he felt. The company was using a managed security service provider (MSSP) for detection and monitoring, but there were gaps. “Our MSSP was providing eight-by-five coverage, but it was entirely dependent on how they had configured Splunk,” he recalled. As a result, the MSSP was blind to key parts of the company’s infrastructure, and even when the MSSP generated alerts, it would just pass them back to the company’s in-house security team. “They weren’t doing any meaningful investigation,” he said. To better understand the problem (and, ultimately, what the solution would be), the customer rolled up his sleeves and sat down in the security analyst’s chair. He triaged alerts, decided what needed to be escalated and got a front row view of the company’s infrastructure and alert stream. Armed with a clear vision of what the organization needed, the company prioritized finding a vendor who could provide 24x7 coverage and help them create a real and repeatable incident response capability. The customer evaluated seven different managed security service providers, including what the senior director calls “all the traditional and conventional providers.” But he and his team believed that to turn their vision into reality, they also needed to include providers with new, innovative approaches. His previous experience working in highly-targeted industries had led him to the conclusion that security operates within a “golden hour.” It’s akin to how trauma physicians and first responders approach medical emergencies, where the first 10 minutes spent stabilizing a patient for transport is critical to the ultimate outcome. After a rigorous evaluation process, which included an RFP, detailed technical evaluation and customer references, the pharmaceutical company ultimately selected Expel’s 24x7 service with hunting. In the past, an incident would trigger a linear series of events, starting with an alert, progressing to escalation and eventually a ticket, at which point the security team would finally awaken to the danger. The swarming approach we’ve implemented with Expel eliminates that waiting. Waiting for a trigger, a ticket or for someone else to take action. All that waiting costs time during that critical first 10 minutes of an incident. Expel also helped the organization realize their vision of responding to incidents during the “golden hour”. With Expel on board, he says they’re now able to “swarm” an intrusion. Now, he says, the company is able to embrace the idea of immersion. The dashboard in Expel Workbench is visible to the entire team. It’s “perfectly configured” so everyone can observe investigations as they’re unfolding, even as Expel’s analysts are conducting investigative steps, documenting those steps and alerting our entire team. According to the customer, sometimes things are running so well that they feel like they might be missing something. He once had one of his analysts message Expel’s analysts at midnight, just to see what would happen. Apparently, it had been awhile since anything graduated to an incident, and they got antsy (the analyst replied right away and let the team know everything was clear). The customer also knows his team members can reach the Expel crew in a variety of ways. They’ve got Slack on their mobile phones, and they get emailed alerts as well. The ultimate measure of effectiveness is when we can keep security events from materially degrading or disrupting our business. Every bit of the data that we’re getting from Expel Workbench helps us to demonstrate the volume and velocity of things happening in our environment that have not resulted in a breach or hindered our ability to do business. Those are the kinds of numbers CFOs like to explore and understand. 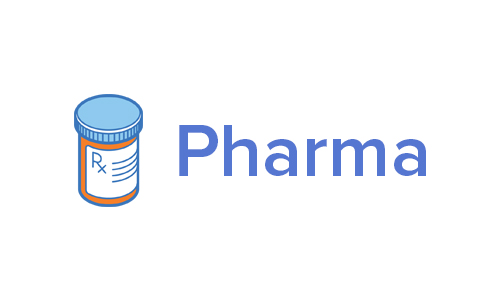 The pharmaceutical company has experienced several tangible benefits from working with Expel, beyond a fundamentally better security operations workflow. All security organizations, including the customer’s, reduce risk. While detecting and responding to incidents is one way to reduce risk, they’d prefer to prevent them from occurring in the first place. The proactive resilience recommendations that Expel provides have helped this company do that. For example, after one investigation where Expel detected and stopped an attack, the Expel analysts provided a resilience recommendation that allowed the customer to prevent similar attacks in the future. Investigations like this also demonstrate the return on the organization’s investment in Expel. Ultimately, they want to converge all of their security functions to the point where they can live in that 10-minute window, the golden hour of incident response.